This started out as a treat stand, but since I didn't use food-safe paint or adhesive, I decided it probably wouldn't be a good idea to serve food from it. In the end, I decided it would make a cute jewelry tray for my mom. For Mother's Day, ya know? This is just made from some melamine plates I picked up at Target and a brass candlestick from Goodwill. Also, a drawer knob from Lowe's. All I did was paint the candlestick cream and then sprayed some lacquer on it to keep the paint from chipping off. I drilled a hole into the top plate and attached the drawer knob. Then I glued the two plates to the candlestick. Ain't she purty?? After I made the first one, I wanted to make more. Because, you know Target has some CUTE plates. I got some more brass candlesticks at Goodwill (they ALWAYS have plenty) and some more plates from Target. This time, I painted the candlesticks white and omitted the knob. I decided to make one of them a three-tier. It's my favorite!! One of these is for my daughter's bedroom and the other for her bathroom. I'm almost positive that I saw this (as a cake-stand) on another blog, but I can't remember which one. If anyone knows, hit me up and I'll link it. These are to die for! Great idea! i've seen this as a cake stand, but yours are different and funky. i love them. i want to ditch the nasty jewelry box i've had since college and try this. target has all of that new line with the fun paisleys right now, i'm blanking on the name. 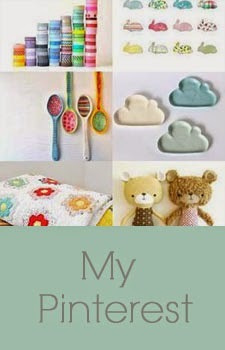 come visit me to enter my very first giveaway of some of my creations and a pottery barn giftcard @ www.barefeetonthedashboard.blogspot.com. Love it! Love an excuse to buy more jewelry to fill them with! So, so cute! I got some of those polka-dot plates at Target the other day! Love what you did with them! Wow. Thanks for sharing! The knob was a cute touch too! What cute plates. Nice idea. Dropping by from BNOTP. This is so cute. I love it! What kind of glue? Hot glue? These are gorgeous! I love em! Mandy, I missed your link party, but I'll be sure to get in on the next one. Thanks for the invite! Sandra, I've never really had much luck with hot glue. I used super glue on these. I thought about using something thicker and with more umph, but I was worried about it gushing out onto the plate. Guess what I found at wal-mart?! Some pretty melamine plates on clearance for 75 cents each! Can't wait to make one! Thanks for the idea. Ok, I'm sold! I'll be stopping at Target on my way home today. These are so pretty. Thank you for linking this to A Little Craft Therapy with Life in the Pitts. Love all the beautiful colors in this post. A great idea and made better by the awesome prints and colors! This is fantastic! Today is dollar day at Goodwill so I'll be looking for some plates and candlesticks. Thanks. Very cute, I make similar vintage servers which I'll have to post sometime. Love all those bright colors! Did you really get all those plates at Target? I have a treat stand my mother in law gave me, and the plates are way ugly, so I am very excited to be able to change the plates out! I would need the plastic plates because I would be cutting a hole in for the stand to go through (and so it's food safe). Are yours plastic? That is a SUPER cute idea to glue the candlestick on and use as a little tray! Thanks for the comment love guys!! I think I answered those with specific questions via e-mail. If I missed anyone, please accept my apologies! So cute. I really like the pop of color. I've enjoyed going through your blog! I love this idea, I might just have to make one for my mom! I love you! You said "mother's day" and "target" in conjunction with these stands. My mom has been admiring the fake pottery bowls and plates at Target but buying since she doesn't need more plates...betcha she'll _need_ a tiered set of these lovelies as soon as she see's what I whip up! And JUST in time to make it and wrap it! Thanks, you saved mothers day at our house! These are so super cute!! These are great! If you want to make some as treat stand do what I do which was suggested by our chef at where I work. Cut a piece of parchment or wax paper to cover the plated area where your food will be placed. Now its all safe for snacks. Even when I use my melted record bowls for party snacks I use parchment paper or plop a coffee filter in before I add those snacks. Record bowls are made of food safe plastic but the records are old and have grooves. It just feels cleaner to me and a easy clean up. I have also set a clear glass bowl in my record bowls for dip and used them more as a round charger. Love them!!! What kind of glue did you use?? 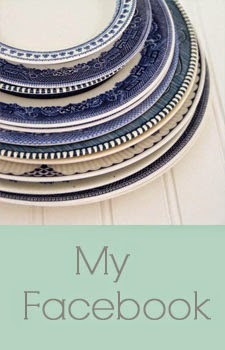 I featured your DIY Trays on my blog as I made my own tray today! I went in search of other DIY trays to post to give my viewers more ideas and I love yours! 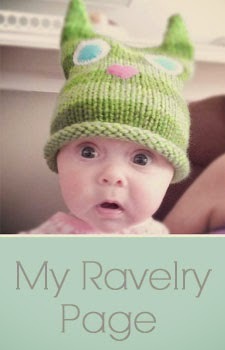 Here is a link to the post on my blog, "The Browy Blog"